The New You: Can Owning a Cat Can Make You Healthier? Dog owners have long known and enjoyed the theory that their dogs can help them live longer, healthier lives. From their constant companionship to supporting the daily need for vigorous exercise, dogs help people achieve their fullest, most satisfying lives. Cats, on the other hand, have a reputation for being aloof. Seemingly disinterested in the lives of their human roommates, cats are erroneously perceived as low-maintenance. While they certainly benefit from daily play and movement, they don’t require long walks around the neighborhood. Instead, cats are (generally speaking) content to eat, nap, use the litter box, and repeat day in and day out. What you might not know is that, like dog ownership, owning a cat can make you healthier, too. Cats have lived alongside us for over 10,000 years. Originally, our relationship with cats was purely convenient as they patrolled for vermin around ancient storage units of harvested crops. Seen as useful predators at first, cats didn’t need a lot of time to warm our collective hearts. Now they are famous for ruling the internet! Thanks to all sorts of research from around the world, cats and their owners are taking their rightful places among other healthy, devoted lovers of animal kind. Concurrently, the wildly, adorable, and zany antics caught on video took everyone by storm. As a result, cat people are now embraced as some of the healthiest (if not smartest) people on earth. 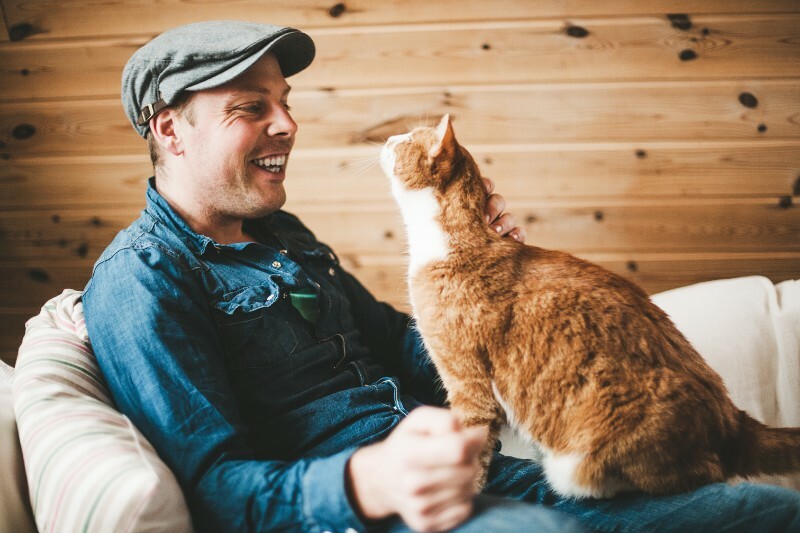 How is it possible that your cat can make you healthier? Well, for starters, they reduce stress and high blood pressure by triggering the happy hormone oxytocin. Researchers say that simply listening to your cat purr can calm frayed nerves and make you relax. Your cat can make you healthier by lowering chances of stroke and heart attack. In addition, cats keep loneliness, despair, anxiety and depression at bay. The constant, quiet presence of a feline at home is an effective prescription for Alzheimer’s prevention, too. Single person cat ownership is on the rise, in part, because of the comforting nature of cats. They’re also known for being less expensive to keep and, on average, save owners up to a thousand dollars every year. It may sound counterintuitive, but cat ownership decreases the incidence of allergies. When exposed to fur and dander in the first 12 months of life, the immune system works its magic by processing that stimuli as non threatening over time. Thus, owning a cat is a healthy thing to do for long term inoculation against allergies. 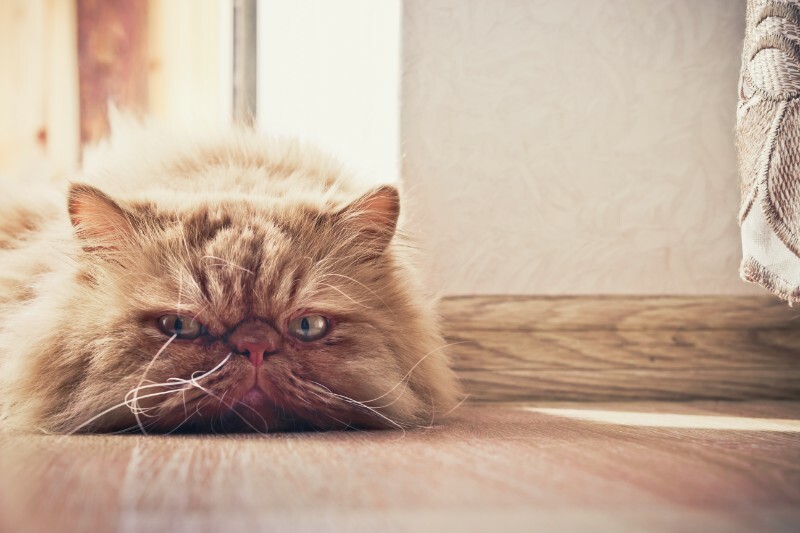 So, while some folks see that cat ownership is all fun, games, poorly timed jumps, awkward napping places, and fierce ankle ambushes, owning a cat can make you healthier. What could possibly be better than this great news? Please let us know if you have any questions or concerns about the numerous health benefits associated with cat ownership. Our staff is always here for you! Your pet’s paws are adorable, yet it’s easy to imagine they’re also tough-as-nails. After all, your pet uses them every day to walk, run, and play in all types of weather, and they don’t seem to be affected at all…right? As it turns out, paw pads aren’t as indestructible as they might seem. Winter weather is particularly harsh and can wreak havoc on your pet’s paw pads. 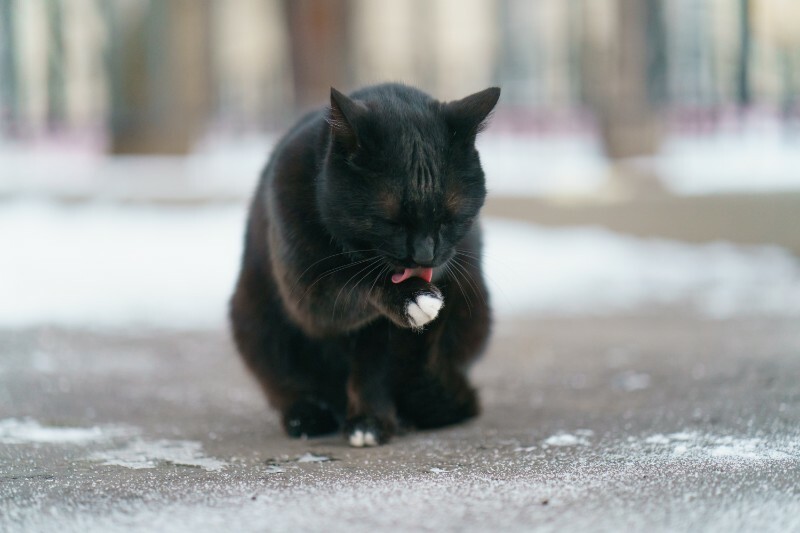 Fortunately, you can avoid dryness, cracking, bleeding, and injuries from toxic winter chemicals with proper winter paw care. A solid winter paw care plan begins with grooming. The hair around the paws should be trimmed regularly to prevent the accumulation of ice and snow in between the toes. Nails should also be kept short, as longer nails can force the paws to splay out, leading to problems with gait and increasing the opportunity for snow and ice balls to settle around the pads.